South America road trips are a great way to explore at your own pace, plus you get to experience some amazing hotels that are off the beaten track. 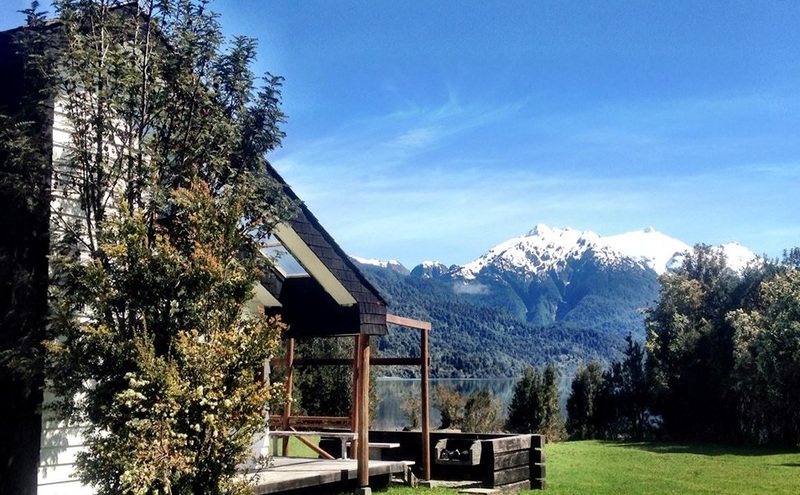 Chile and Argentina, especially, have their fair share of fabulous accommodation. So after a long day behind the wheel, you can snuggle up in anything from a snowy chateau in Patagonia, to a forest tree house, or even a desert oasis in the Atacama. We share our absolute favourite South America road trip hotels! Pucón, located on the shores of Lago Villarrica in the Chilean Lake District, is a top travel destination for adrenaline junkies, with a huge variety of activities on offer, including rafting, kayaking, hiking, fishing, horse riding, skiing and snowboarding. It all makes for an exhausting holiday! Tucked away in a tranquil forest on the edge of town are the ‘Nidos’, or ‘Nests’, of Pucón. These wooden treehouses are sympathetically furnished, and designed to sit perfectly in their natural surroundings, with wooden walkways which wind through the treetops, allowing you to escape from the hustle and bustle of Pucón. What could possibly be more relaxing than enjoying a glass of Chilean wine in a treehouse Jacuzzi? If you really want to get away from it all, you literally couldn’t get more remote than Yelcho! 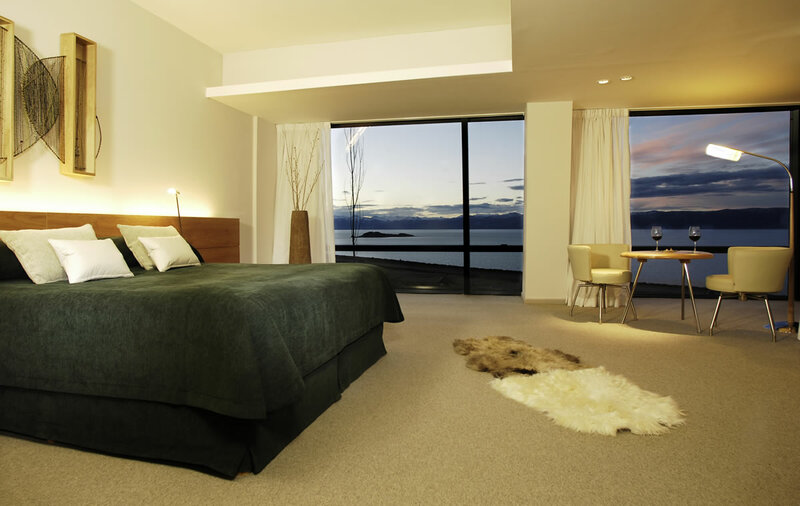 Set on the shores of one of Chile’s largest lakes, it really feels like you are miles away from civilization. After a long days driving, the Lodge is the perfect spot to enjoy some peace and quiet, and a bit of fishing if you fancy it! With a number of accommodation options to choose from you can become one with nature on their private campsite, cosy-up in their chateau-style hotel, or unwind in a private log cabin. The Carretera Austral runs past the lake, so it’s a convenient location if you are heading north towards the heart of the Lakes District, and the Argentinean border is close by if you are doing a multi-country road trip. 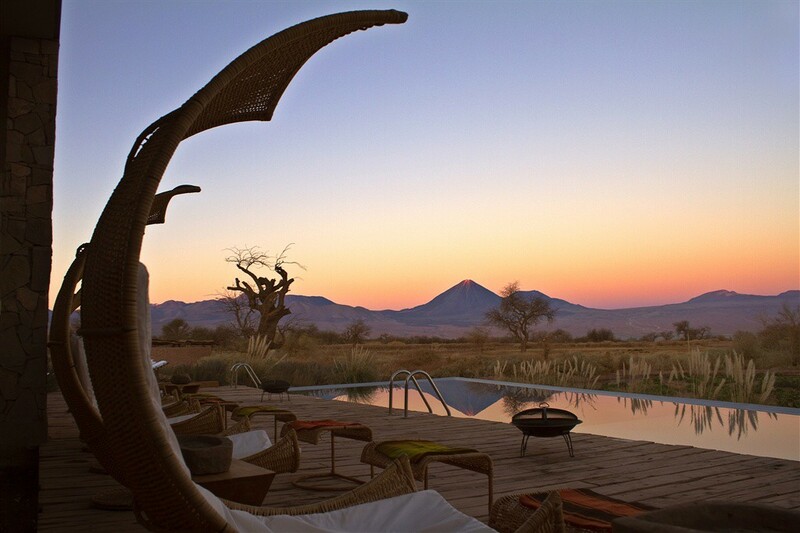 From geysers to volcanos, the Atacama Desert is a tough environment, which makes the Tierra hotel feel even more luxurious! The desert is probably the most isolated landscape, and when you are on a road trip it can feel even lonelier. Which is why this oasis is the perfect choice if you want a romantic break filled with pampering and surrounded by beautiful architecture. 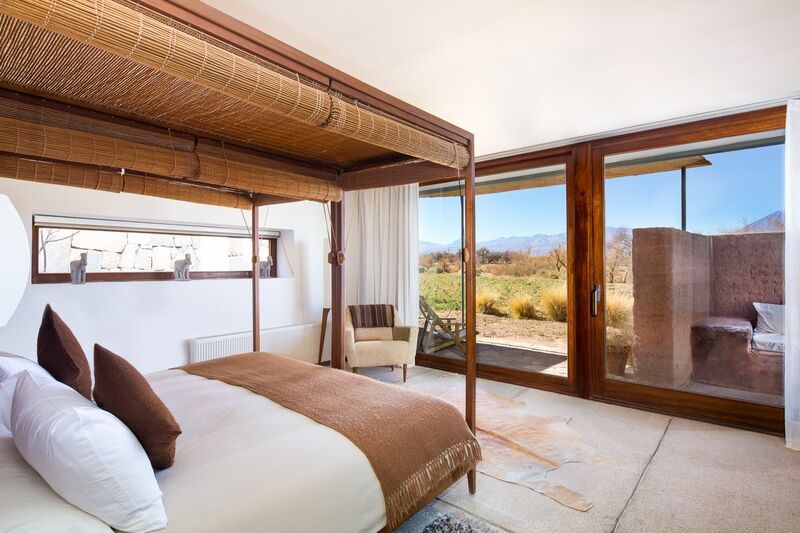 Our favourite room is the Oriente, which has a private terrace with an outdoor bed and shower, with views of the Licancabur Volcano. Guests can use the spa and the fabulous outdoor pool, a real oasis in the middle of the desert. Plus, all the sights of San Pedro and Atacama are within easy reach. Situated within Torres del Paine National Park, this fully sustainable camp consists of a huddle of geodesic domes with skylights, allowing you to fall asleep gazing at the stars. 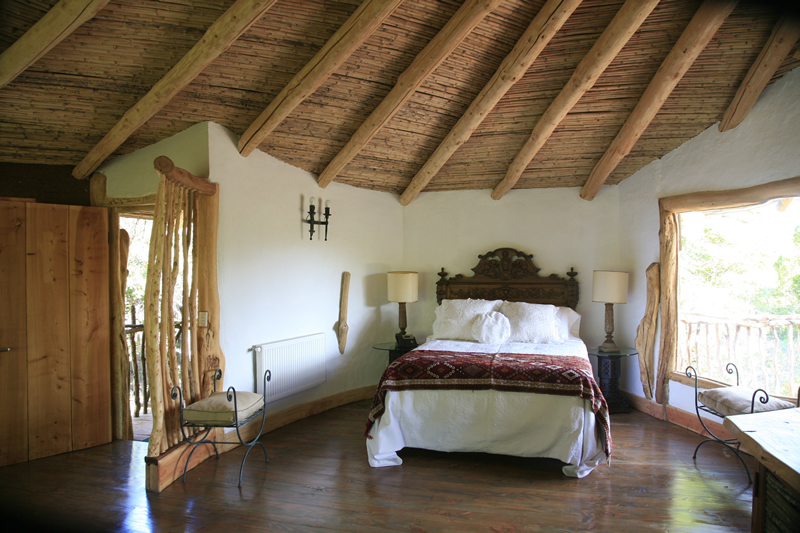 The domes themselves are fairly basic, but the stylish, natural wooden furniture and sheep skin throws make them feel quite luxurious, especially the suites with their private bathroom and log burning stoves. Holidays here are geared towards greener living, getting to closer to nature, and enjoying a community spirit. The central domes are used as a meeting point, where you can dine and socialise with other guests; there’s even a yoga dome! There are daily excursions from Ecocamp into the National Park, so it’s the perfect choice for a walking holiday. 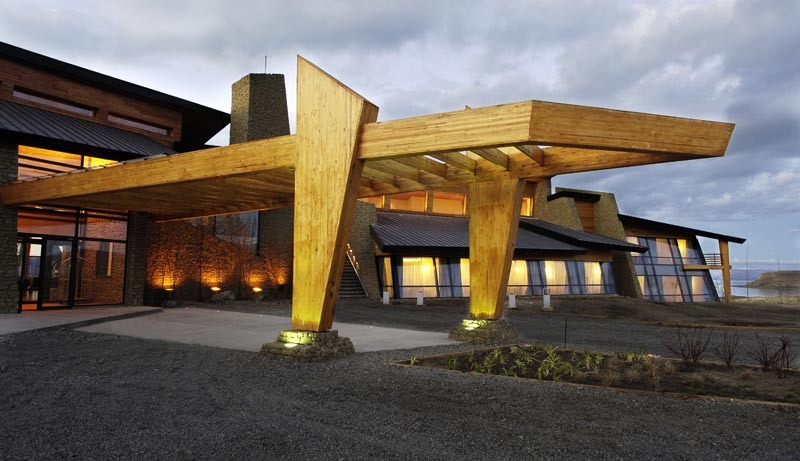 If you think the glaciers in El Calafate are impressive, just wait until you see this hotel! With a strikingly modern design, floor to ceiling glass windows, huge rooms, and a pool with a view, you’ll be as bowled over as we are by the Design Suites. The rooms which look out onto the lake are particularly dramatic. The hotel is located on Lago Argentino, on the outskirts of town, and the Perito Moreno Glacier is just a short drive away. 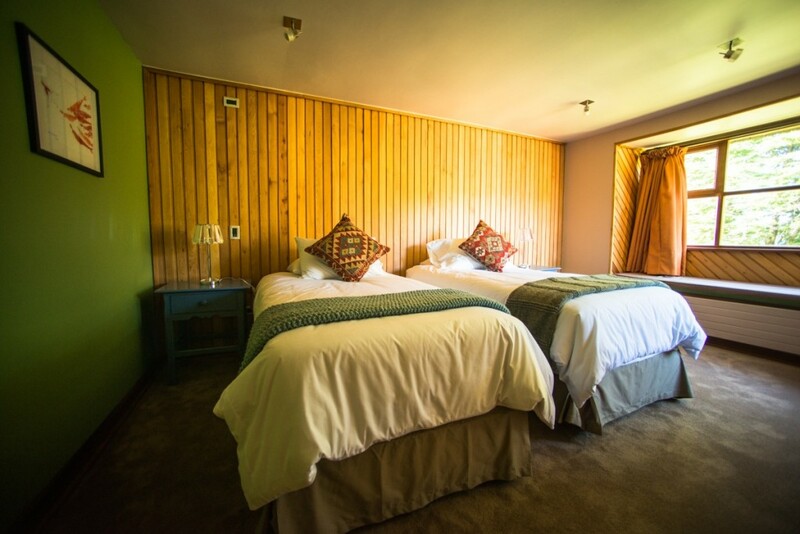 The chain also have another hotel in Bariloche which is equally well designed, so whether your road trip is in Patagonia or the Lakes District, you can experience 5 star accommodation at its best. Whatever your budget, you will find plenty of great accommodation to choose from during your self drive trip. If in doubt, opt for a family-run guesthouse, where you’ll be treated to a warm welcome and a taste of the local cuisine. Wherever you decide to stay in Chile or Argentina, you can be sure the scenery will be incredible! Contact us for more information on South American Road Trip hotels. Or why not check out the Best Swimming Pools in South America?